PROVENCE SPICESFamous Herbs de Provence an More..
View cart “Hot & Spicy Marinade BALSAMIC Vinegar” has been added to your cart. 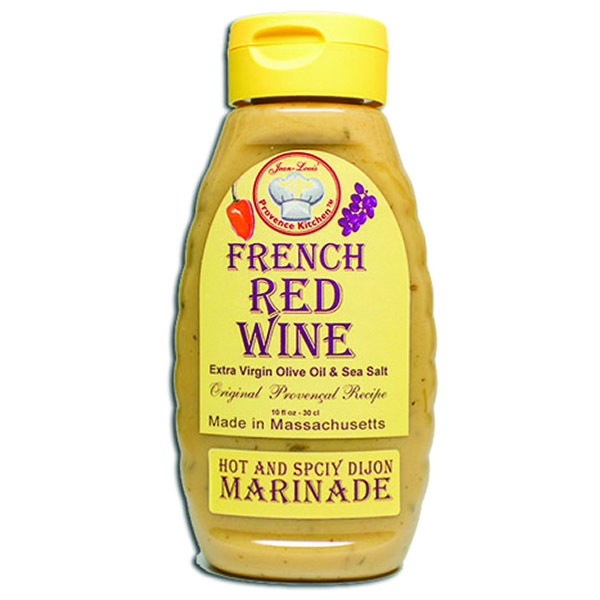 All Natural Hot & Spicy RED WINE Vinegar Marinade with no gum and no sugar. We use the best ingredients to make our Hot & Spicy RED WINE Vinegar Marinade. Use it on to marinade all your favorite Seafood. Great for cooking fish, shrimp, scallops or sauté vegetables. Decadent as a salad dressing . Percent values based on a 2,000 calorie per day diet. Your daily values may differ. Have you ever wondered why most of the Vinaigrettes in the grocery store are made with 10, 20, sometimes even almost 30 ingredients? I remember growing up in Provence watching my mother whipping vinaigrettes before every single dinner. She would mix in a giant bowl, delicious extra virgin olive oil, a robust aged vinegar (the flavor would depend on the main dish), sea salt and pepper and voila! I decided to do the same thing for my family and friends more than 20 years ago here in this beautiful country. And Provence Kitchen® was born. 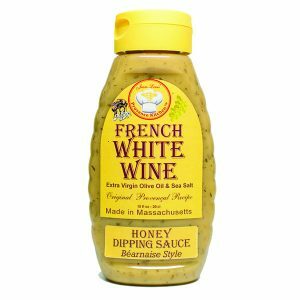 Stay tune for more articles and wonderful family recipes..
Our White Wine Vinegar Honey Dijon Dipping Sauce is one of our best sellers. It is delicious with all kinds of fried seafood. It is All Natural with no gum and no sugar. We use the best ingredients to make our Aged White Wine Vinegar Honey Dijon Dipping Sauces. 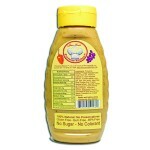 All Natural Hot & Spicy CHAMPAGNE Vinegar Marinade with no gum and no sugar. We use the best ingredients to make our Hot & Spicy CHAMPAGNE Vinegar Marinade. Use it on to marinade all your favorite Seafood. Great for cooking fish, shrimp, scallops or sauté vegetables. Decadent as a salad dressing. 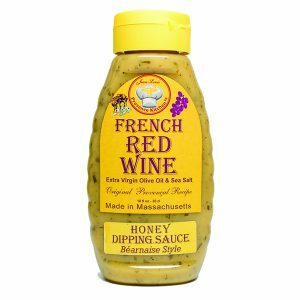 Our Honey Dijon Dipping Sauce Red wine vinegar is wonderful with all kinds of red meat, and meat on the grill like sausages, chicken, etc. It is All Natural with no gum and no sugar. 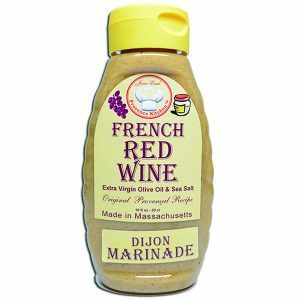 We use the best ingredients to make our Aged Red Wine Vinegar Honey Dijon Dipping Sauces. 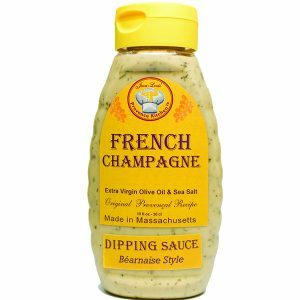 Our Dipping Sauce Champagne Vinegar is the ideal companion to go with all your favorite fried foods. It is delicious with fried fish, fried calamari, fried shrimp, and fired salmon.It is All Natural with no gum and no sugar. 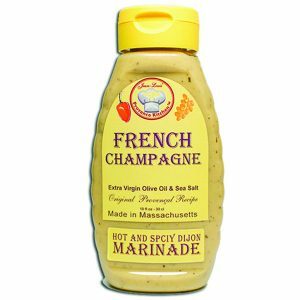 We use the best ingredients to make our Aged Champagne Vinegar Dijon Dipping Sauces. Use it on to marinade all your favorite Seafood. Decadent as a salad dressing . 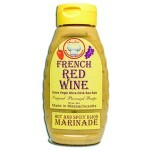 All Natural French Dijon RED WINE Marinade with no gum and no sugar. We use the best ingredients to make our Aged RED WINE Vinegar Marinade. Use it on to marinade all your favorite Red meat. Decadent as a salad dressing. 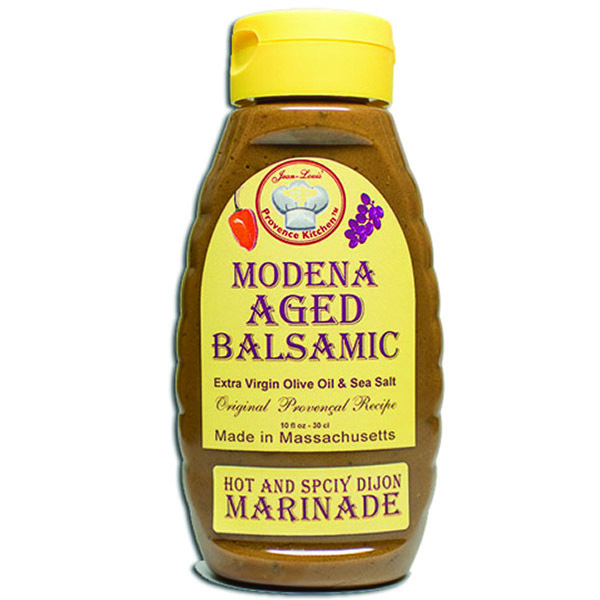 All Natural Hot & Spicy BALSAMIC Vinegar Marinade with no gum and no sugar. 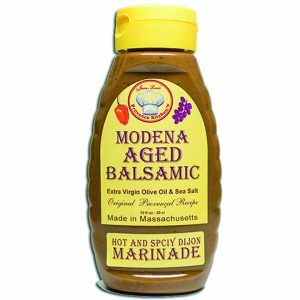 We use the best ingredients to make our Hot & Spicy BALSAMIC Vinegar Marinade. Use it on to marinade all your favorite Seafood. Great for cooking fish, shrimp, scallops or sauté vegetables. Decadent as a salad dressing . 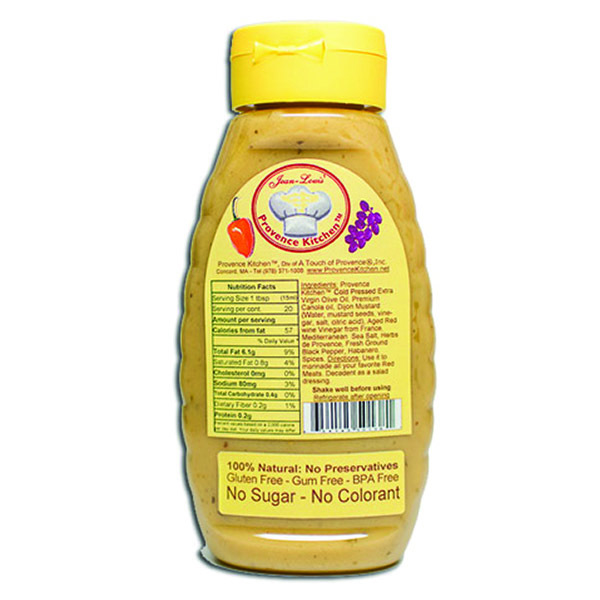 All Natural French Apple Cider Vinegar Honey Dijon Marinade with no gum and no corn syrup. 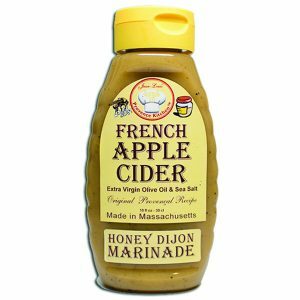 We use the best ingredients to make our Aged Apple Cider Vinegar Honey Dijon Marinade. Use it to marinade all your favorite Seafood. Decadent as a salad dressing . 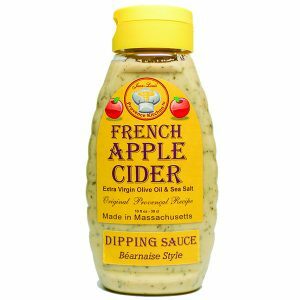 Our Apple Cider Dipping Sauce goes with all kinds of fried food, french fries, fried chicken, etc.. It is all natural with no gum and no sugar. We use the best ingredients to make our Aged Apple Cider Vinegar Dijon Dipping Sauces. 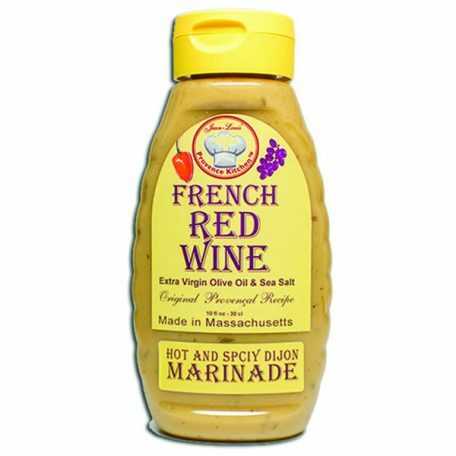 Since 1996 Provence Kitchen®, a culinary Division of A Touch of Provence®, Inc. has been hand crafting Specialty Foods in Massachusetts with A Touch of Provence®. We have created a unique Specialty Foods product line using authentic Provencal recipes in the old fashion way using only natural and organic ingredients; we stay away from any types of artificial flavoring, preservatives, gum colorants, etc..